4k00:16Portrait of vigilant meerkat. (Suricata suricatta). 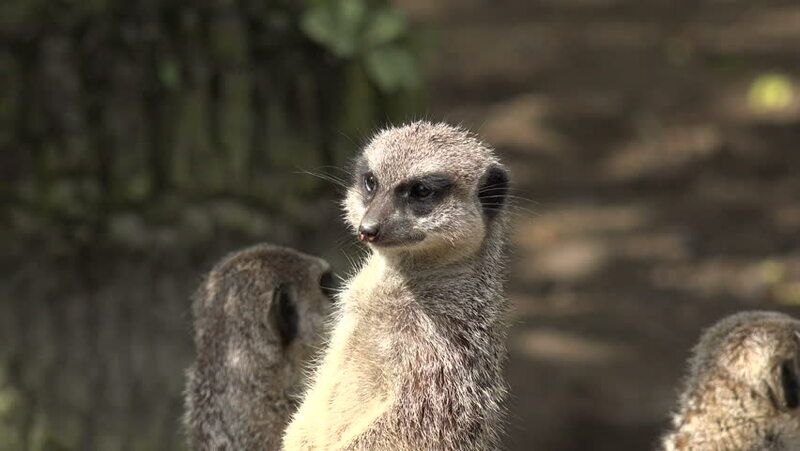 Close-up of a meerkat ,seen from behind, watching of all directions upright and looking directly at you, and disappears at the end of the plane. hd00:15A female baboon with her newborn baby holding him in her arms.